TRANSFORMATION X is a photo project that was conceived and curated specifically to show the radical transformation that can occur when an actor is put “in the works” to come out the other side as a character of the costume designer’s making. The intention of the project is not to pull back the curtain on the mechanics of a costume designer’s process, but to document the before and after, allowing the image to tell the story. Focusing primarily on background actors, the baggage of celebrity recognition has been left at the door. 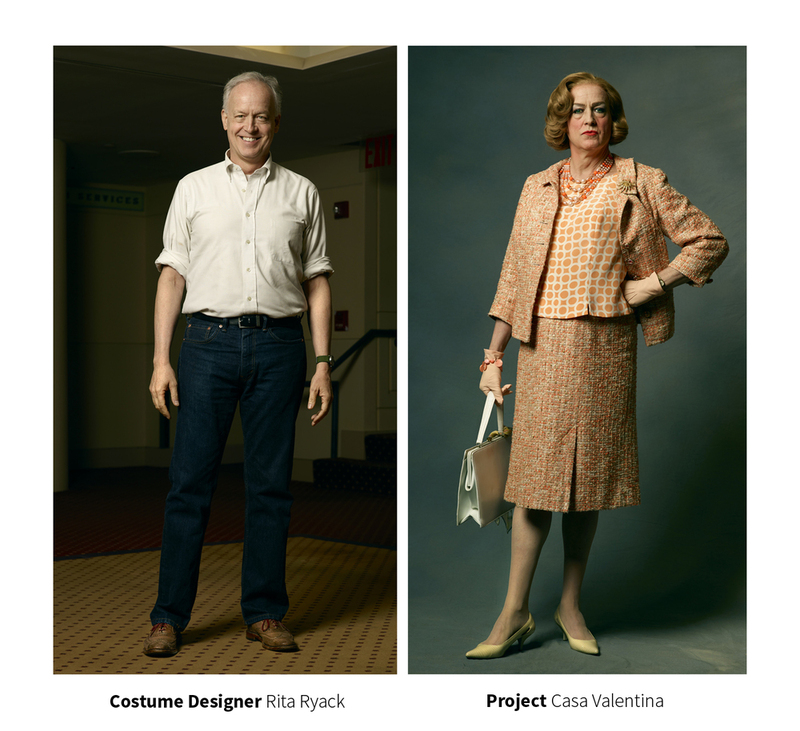 The project’s creators, Mark Laita and Sophie de Rakoff, have travelled across the US to collaborate with some of the movie industry’s most prominent costume designers to examine this premise. They have been allowed onto sets of some of the decades most prestigious television shows and feature films, as well as Broadway plays and independent movies. The Transformation X team would like to keep in touch with you. Please see below to sign up for updates. At the heart of this project is the vision and brilliance of the costume designer. The transformations speak for themselves. Subscribe for updates on Transformation X. Simply submit your name and email address. Messages are optional and welcome.